OK, who erased the “CL” from the beginning of “CLASS”? Congratulations. You’ve ensured we’re going to be spending the rest of the month in detention. Seriously people, that was a really stupid move. What were you thinking? Mr. Salmon has absolutely no sense of humor. This is going to end poorly for all of us. But I guess there’s no undoing it now. You did what you did. I still have this blog entry to do on Palermo before we conclude the Sicilian Mafia series, and I’m not going to delay it a week just because you don’t have the good sense not to piss off the most draconian fish in the history department. When you have lucrative commerce and a weak sovereign, do you magically get the Mafia? In the previous posts, I tried to lay out the big picture regarding what the Mafia is and how it originates. But these were broad strokes, and obviously a weak surrounding government and a good export business aren’t the only criteria for creating a crime syndicate as resilient as the Sicilian Mafia. This is an organization that has been around for well over a century, yet they still have the means and impunity to conduct high-profile assassinations of prominent public figures. So what are the other key ingredients? Well, the easiest way to figure that out is to take a closer look at what is effectively the Mafia’s capital city, Palermo. Long-lasting organized crime is a lot easier in favorable conditions. The very phrase “organized crime” has baked into it the concept that the organization in question is considered illegitimate at a larger scope. It’s called organized crime, not organized, you know, finance (which may often look a lot like organized crime, to be fair). So if you’re a crime syndicate trying to maintain local legitimacy in the face of this sort of head wind, it helps to have other things going for you. Palermo is the perfect example of a place that had exactly those things during the Mafia’s inception. First, its commerce is highly concentrated. Palermo is directly surrounded by the lemon groves that fuel its export industry, and the fruits (pun intended) of those groves all travel through Palermo to its port for shipping. This extreme geographic concentration is crucial, because it minimizes the amount of work necessary to conduct criminal enterprise. Want to take a cut of the lemon trade? There’s just one port, one set of dock workers, one trade route. If you can gain control of it, there’s nowhere else people can go. They have to deal with you. Furthermore, these are in the days before the internet. People had limited communication. If you need to rely on fear and second-hand reports of violence to keep people in line, you need to make sure people actually hear about the things you’re doing to intimidate them. Having the farmers, the middlemen, and the businessmen all in one place makes this much more tractable. But the biggest boon to the Mafia in Palermo may have been the behavior of the mainland. Among all the favorable conditions in Palermo, one particularly influential one was how mainland Italy treated it. Had the central Italian government been indifferent to Sicily, and paid little attention to its crime problems, it’s entirely possible “The Mafia” would never have existed in its current form (and certainly no one would have coined that term, since its origins are in the Sicilian dialect). Had they been ruthless in seeking out and eradicating organized crime, then it probably wouldn’t have existed either. But from the 1870s onward, as organized crime was becoming prevalent in Palermo, the mainland Italian government did exactly the wrong thing: it periodically tried to do something about it. The pattern went like this: some high-profile crime would lead to government attention. Mainland politicians would decide to “do something about” organized crime in Sicily. Some arm of the state would travel to Sicily to perform superficial law enforcement, eliminating only those mafiosi who did not know how to maintain the proper political cover. Then the issue would subside for a time. This happened over and over again in the late 1800s and early 1900s, and the effect was the precise opposite of what the mainland would have wanted: by periodically eliminating the least resilient parts of Sicilian organized crime, they ensured that the strongest parts would proliferate. It was like a breeding program for the most effective possible Mafia. By definition, if organized crime became so powerful and prominent as to be completely dominant in a region, we wouldn’t call it “organized crime”, we’d just call it “the government”. As history’s many harsh monarchies and dictatorships have abundantly demonstrated, you don’t have to be democratic, or just, or lawful to be a government. So when we talk about organized crime syndicates, we’re talking specifically about organizations that exist alongside the regional government. In order to do that effectively for a long period of time, the crime syndicate needs to be good at placating the regional government. This is precisely what happened in Palermo. Thanks to the periodic pressure from the central government, the mafiosi in Palermo that prospered were always the ones who figured out how to ingratiate themselves with the larger sovereign of Italy. This took all the forms you might expect in typical government corruption: bribery, favors, assistence in catching other criminals, campaign support, etc. Essentially, mafiosi in Palermo became adept at giving politicians and police timely support for everything other than actually eliminating organized crime, while at the same time learning what sorts of crimes could and could not be conducted without backlash. And so, even to this day, organized crime in Sicily strikes a continually evolving balance between perpetuating the crimes necessary to be self-sustaining, and keeping good enough relations with the government to avoid serious consequences. So I’ve talked alot about Sicily, but our game takes place in New York City, where the picture of organized crime is more complicated. Understanding Sicily’s Mafia and how it operates is in many ways a precursor to understanding organized crime in New York City, but in order to tell the whole story, we have to look at some aspects particular to New York and America. 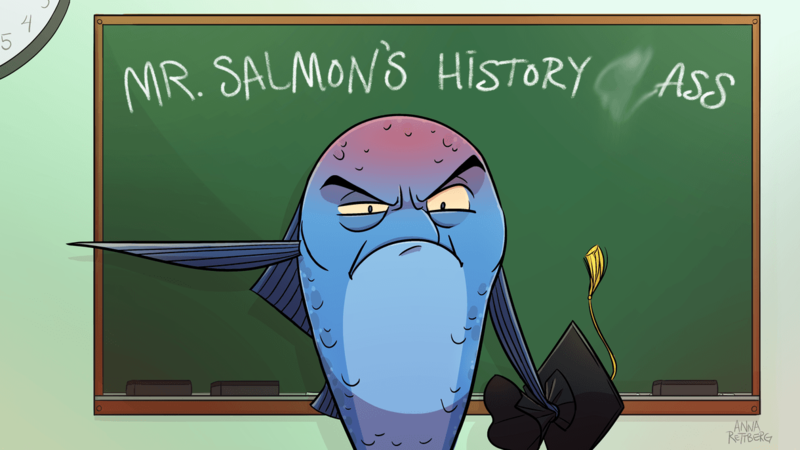 And that’s what we’ll be diving into next week — that is, if Mr. Salmon doesn’t get us expelled first.